We are a one-step, ready-to-go-shop for exterior home detailing. It’s important to protect your most valuable asset: your home. When you need exterior detailing services like window cleaning, pressure washing, gutter cleaning, house washing and more, look no further than Shack Shine. We have simple online booking and a world-class sales center so you can easily get an estimate and book an appointment. All services are scheduled for a specific time rather than within a service window and you don’t even need to be home for us to get the job done right the first time! We care about the environment and your property, which is why we don’t use harsh chemicals for our house detailing services. We use biodegradable solutions and we compost all organic debris. Leave the shining to us and we’ll leave you with peace of mind. We use the latest cleaning tools to ensure quick, thorough and safe service. Equipment like water-fed poles, filtration systems and gutter vacuums ensure that we complete our work safely and that we leave your home positively shiny every time. When you meet our friendly, uniformed technicians, you’ll know you’re in good hands. The services they complete will leave your home shining and you smiling. We work hard to deliver an exceptional experience service our customers deserve. We think you’ll agree that our house detailing service is beyond ordinary, it’s exceptional! JC & JC Construction Inc. When it comes to Dump Trucking , Dirt Hauling and Excavation , no one compares to Jc & Jc Construction. With years of combined experience, Jc & Jc Construction has worked hard to build the trust of our clients in Toronto , Richmond Hill and Newmarket and beyond. Visit our website to learn more. Or better yet, click the link and call us today! Empire Capitol International has been providing cleaning and janitorial services in the Greater Toronto Area for over the last 10 years. Our clients enjoy freedom when working with us as we are Licensed, Insured & Bonded! Since our company was founded our goal has been to make sure our clients best interests are a top priority along with providing our staff a company they are proud of and love to work for. We at Empire Capitol believe in treating everyone with respect and more importantly take our role and responsibility in our industry very seriously. Our company has been built on the foundation of being an equal opportunity employer and we encourage the hiring and training of anyone who is serious about a long term career in our industry. We at Empire Capitol International provide cleaning services to Commercial, Industrial, Residential & Retail Properties and continue to develop our products and services throughout Ontario. 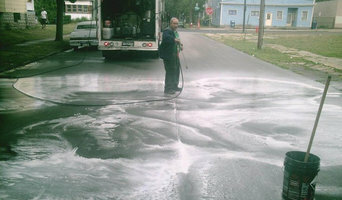 What do Oakville, ON exterior cleaners do? 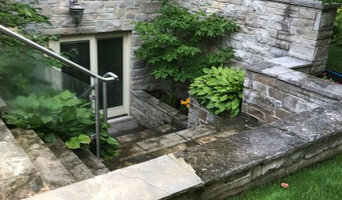 Find exterior cleaners in Oakville, ON on Houzz. Search the Professionals section for Oakville, ON exterior cleaners or browse photos of completed projects and look for the exterior maintenance professional’s contact information.